We've teamed up with PPPC to give you even more. Not only do you get access to all of the Canadian suppliers, but also 3,500 U.S. suppliers, all in one place. Plus membership benefits of PPAI and PPPC! With your PPPC membership, you’ll have opportunities to attend all PPPC tradeshows, to enhance your networking and professional development within the Canadian promotional products industry. You’ll have access to industry education, networking, legislative support, and business savings benefits through PPAI, the industry’s oldest and largest not-for-profit organization. And lastly, you’ll have the industry’s most popular and most comprehensive business management and product research solutions through your SAGE Total Access subscription! What is the PPPC and SAGE strategic relationship? 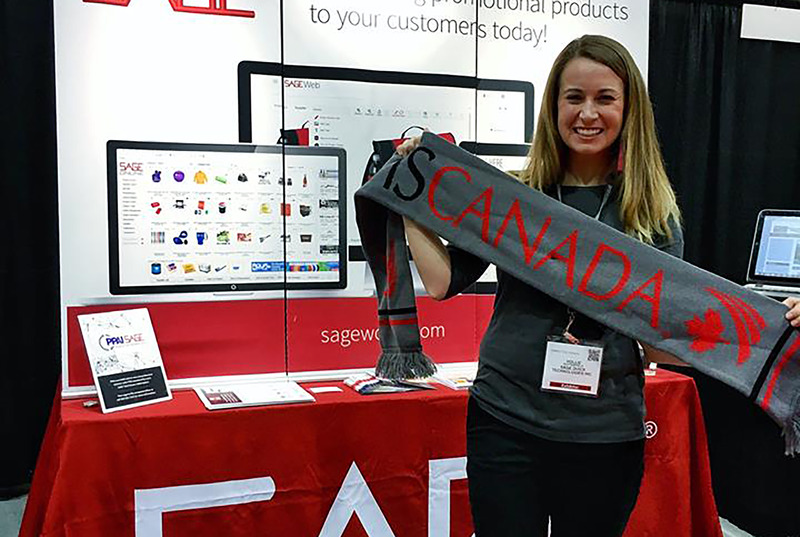 PPPC and SAGE have teamed up to provide the Canadian promotional products industry with the combined benefits of a PPPC membership and SAGE products and services. As part of the relationship, all PPPC distributor members will receive a two-user subscription to SAGE Total Access plus membership to PPAI. In addition, all PPPC supplier members will receive a SAGE Advantage Membership with their PPPC membership. This partnership provides the comprehensive benefits of PPPC with the cutting-edge technology solutions and business services provided by SAGE. 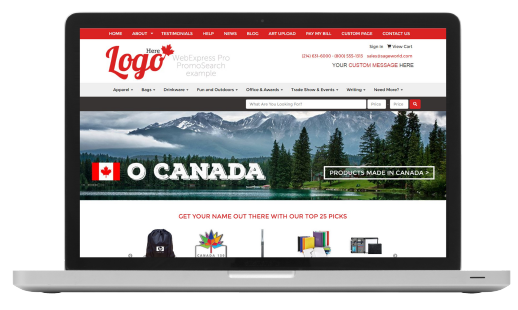 Why is this important to the Canadian promotional products industry? 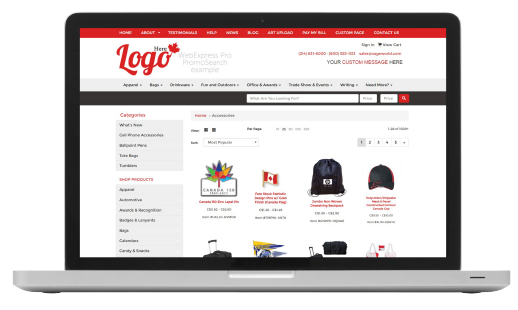 Canadian distributors now have both membership support and the industry-leading research and business management solution for one low price, backed by three of the leading organizations in the promotional products industry; PPPC, SAGE, and PPAI. Canadian suppliers will now receive access to the entire Canadian marketplace, included in their PPPC membership. Each PPPC distributor member will receive a two-user subscription to SAGE Total Access and a PPAI membership. Each PPPC supplier member will receive a SAGE Advantage Membership. Do PPPC members just receive this benefit one time? No, every year that a distributor renews they will receive a two-user subscription to SAGE Total Access and PPAI membership. Every year a supplier renews they will receive a SAGE Advantage Membership. What if you are already a PPPC distributor member and a SAGE Total Access subscriber? If you are already a subscriber of SAGE Total Access, you will receive one additional Total Access user license if you do not already have one. If your annual Total Access subscription renews prior to October 31, 2018, SAGE will extend your subscription at no additional cost through October 31, 2018 (the date PPPC membership expires). If your annual Total Access subscription renews after October 31, 2018, then PPPC will extend your membership to the SAGE renewal date at no additional cost. In either case, SAGE will invoice you for your PPPC membership renewal. If you pay monthly for your SAGE Total Access subscription and you are already a PPPC member then SAGE will extend your subscription at no additional cost through October 31, 2018 (the date PPPC membership expires). 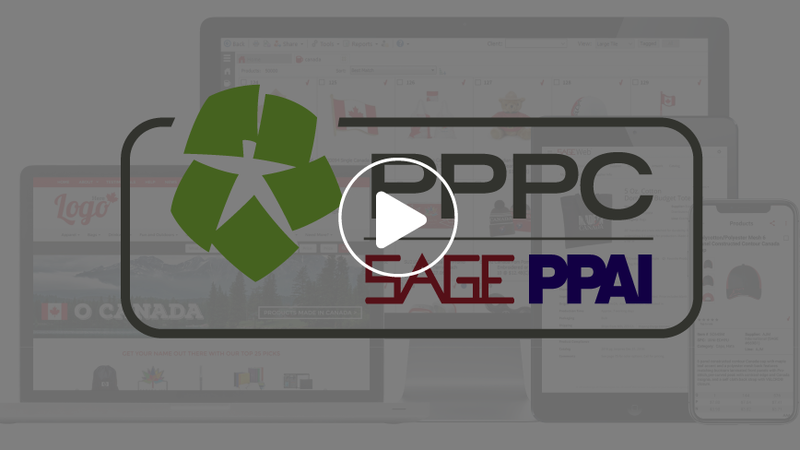 On your monthly renewal date in November, you will pay for PPPC membership which will include two-user subscription licenses for SAGE Total Access. What if you are a PPPC distributor member but not a SAGE Total Access subscriber? As a current PPPC distributor member you will receive a two-user subscription licenses to SAGE Total Access plus PPAI membership through October 31, 2018, when your PPPC membership expires. SAGE will then invoice you for your PPPC membership renewal. You will receive an email from SAGE prior to July 1st with instructions on how to get started with SAGE Total Access. What if you are not a PPPC distributor member but are a SAGE Total Access subscriber located in Canada? If your company is in Canada and you have a SAGE Total Access subscription but not a PPPC membership, you will automatically receive PPPC membership through your renewal date with SAGE. The PPPC membership will be concurrent with your Total Access subscription term. You will also receive an additional user concurrent with your Total Access subscription term if you do not already have one. SAGE will then invoice you for your PPPC membership renewal. If you are currently paying for SAGE Total Access monthly, then you will continue to pay SAGE. You will receive complimentary PPPC Membership until September. On your September monthly date, you will officially join the program and may see a rate increase. What if you are a PPPC supplier member and a SAGE Advantage Member? Your supplier services will continue like normal. If your SAGE membership expires prior to October 31, 2018, SAGE will extend your SAGE Advantage Membership to your PPPC renewal date of November 1, 2018. What if you are a PPPC supplier member but not a SAGE Advantage Member? You will receive a SAGE Advantage Membership through to your PPPC membership renewal date of October 31, 2018. SAGE will then invoice you for your PPPC membership renewal. You will receive an email from SAGE prior to July 1st with instructions on how to get started with your SAGE Advantage Membership. What if you are not a PPPC supplier member but are a SAGE Advantage Member? Unfortunately, you will not receive PPPC membership as part of this relationship. If you would like to take advantage of this relationship, please visit pppc.ca for more information on PPPC membership. What if I am a supplier that has a US catalog and a Canadian catalog? If you are a US or Canadian supplier that has both US and Canadian pricing/catalog you will need two profiles with SAGE. The two profiles (US and Canada) will be covered under one SAGE Advantage Membership unless your US and Canadian divisions operate separately from each other, then you will need two SAGE Advantage Memberships. Who do you pay, SAGE, PPAI, or PPPC? We have created a streamlined process where PPPC members will receive a single invoice for membership and services. Distributors will receive an invoice for their PPPC membership, PPAI membership, SAGE Total Access subscription and any other SAGE services they have. Suppliers will receive an invoice for their PPPC membership and SAGE Advantage Membership. This streamlined process will begin in September 2018 and the invoice will come via email from SAGE. You will pay SAGE by following the instructions on the invoice. Where is there more information about PPPC member benefits? If you are a distributor in Canada who is a SAGE Total Access subscriber but not a PPPC member, you will now be able to take advantage of all PPPC member benefits. For a complete list of these benefits, click here. How do I start using SAGE? If you are a PPPC distributor member but not a SAGE Total Access subscriber, you will receive an email from us prior to July 1, 2018 on how to download SAGE Online, access SAGE Web, and download SAGE Mobile on your iOS or Android device. You now have access to all three and will receive an email to get started. If you are a PPPC supplier member but not a SAGE Advantage Member, you will receive an email from SAGE prior to July 1, 2018 on how you can download the SAGE Supplier Center which is a part of your new Advantage Membership. You now have access to all Advantage Member benefits and will receive and email to get started. A SAGE account executive will reach out to you to schedule a webinar to cover all the benefits. You can also review all the benefits here. Where is there more information on PPAI member benefits? If you are a PPPC distributor member who is not currently a PPAI member or SAGE Total Access subscriber, you are now able to take advantage of all PPAI member benefits. For a complete list of these benefits, click here. As a PPPC distributor member, do I have to use SAGE Total Access? 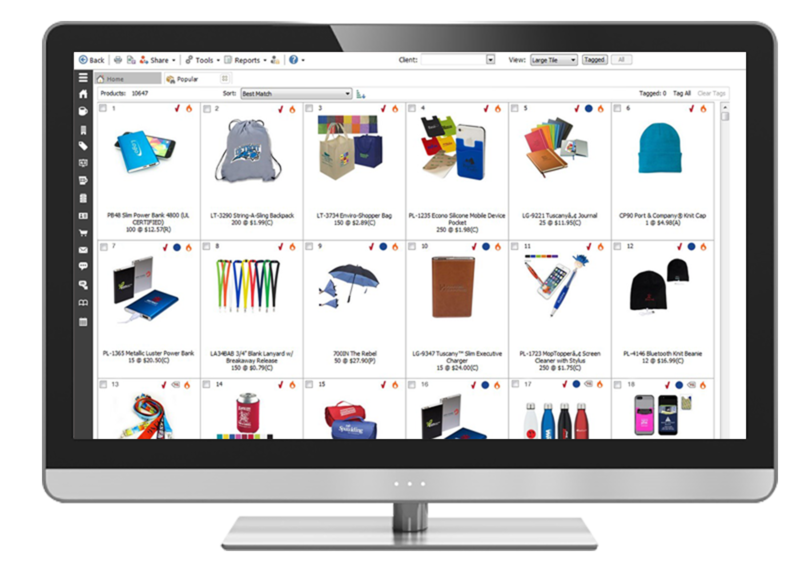 This does not prevent you from using other product search solutions; however, SAGE is the leading product search solution in the promotional products industry and is now included with your PPPC membership. Are there plans in the future to support additional languages like French in SAGE Total Access? Over the course of the next year we will be adding French language support to certain SAGE services, including SAGE Web, SAGE Websites and Company Stores. In addition, French language support will be added to many client-facing materials including order forms in the Order Management module of SAGE Total Access and Email Campaigns. This effort has already begun with the introduction of French language sales presentations in SAGE Online 14. The products below will have native multilingual support. This means that labels will be translated by humans (not editable). Also, text (other than product data) will be entered by user and fully changeable. Product data is machine-translated and then can be further edited by user. The products will have machine-translation through browser technology added. This means that the translation will be done using an automated machine translation service. This may cause inaccurate or unexpected translations in some cases. Graphics and language contained within videos or other non-text elements will not be translated. This translation may require that a header bar be present at the top of the website showing the translation information and translation provider. You have the option to search for products and services from Canadian and/or U.S. suppliers so you decide who you want to do business with. by postal code and province. 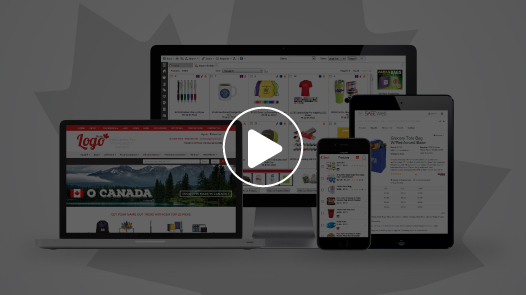 converted to Canadian Dollars in our product search tools and on your company’s website. Option to search for products that are CCPSA, CuL, CSA, and CFIA approved. e-commerce showroom to display products on your website. Create sales presentations automatically in French, so you can better reach all of your clients. We offer over 25 years of industry experience in Canada and the U.S.
Want to try our research tool? 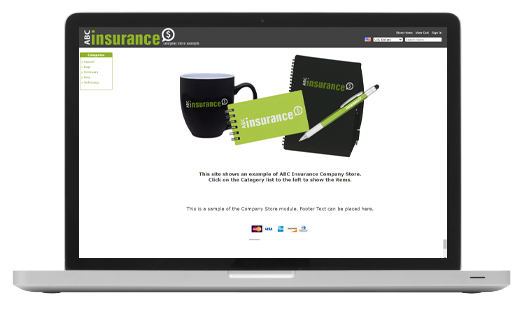 SAGE Online provides instant access to the industry’s largest database of over one million promotional products from 4,300 suppliers. 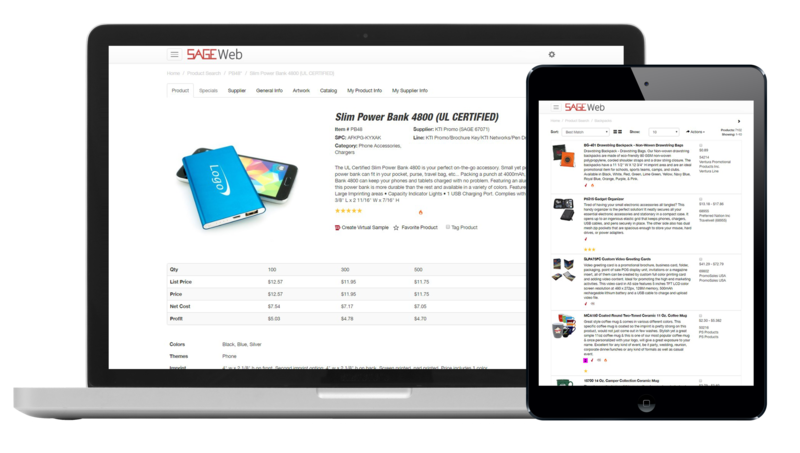 SAGE Web is the solution for users who want to access all the features of SAGE Online on any device with internet access, including Mac computers and Windows phones. Our app for iOS and Android devices makes it easy to get work done on the go. New to the industry and looking for a quick way to establish a web presence? This website is an essential solution to getting your information out there and making your business accessible to clients and prospects 24/7. SAGE Website Professional features full-width layouts and background customization, a file library to host and include custom content like images and PDFs, ability to rearrange homepage content, add your own content, and so much more. 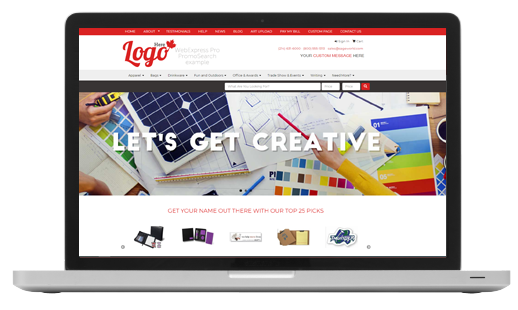 Loaded with fresh content created by us, full web design services and support, this is the website you’ve always wanted but never had the time or skill to create. So, let us handle it from top to bottom! 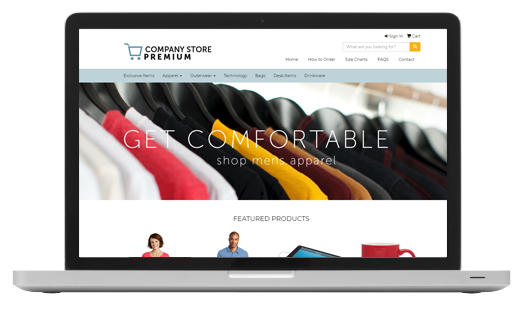 SAGE Company Store is your turn-key e-commerce solution, enabling you to quickly and easily build custom stores containing the clients’ branded merchandise. 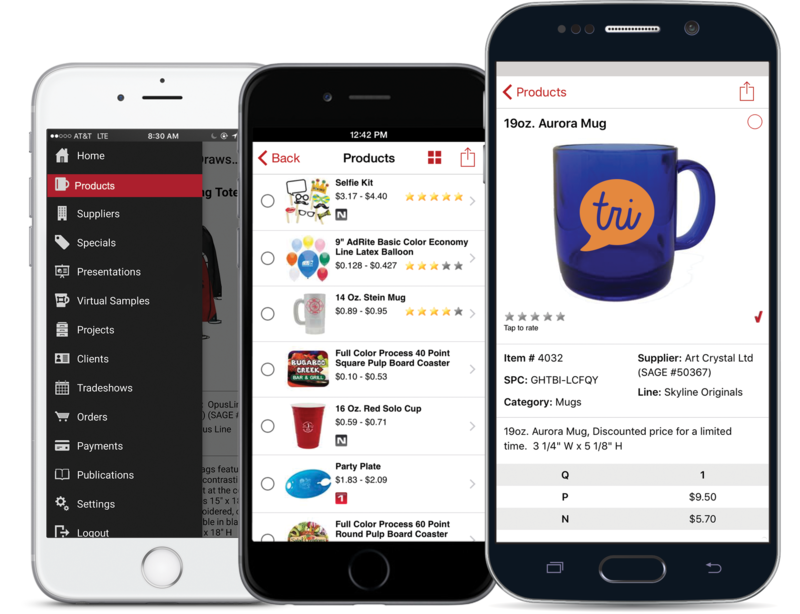 With more customization options, useful features, and powerful capabilities than ever, these premium company store offerings give the modern distributor the key to impressing their clients. SAGE Web and SAGE Mobile, as well as other tools to grow your business. If you have further questions regarding SAGE or the subscription process, feel free to contact us.